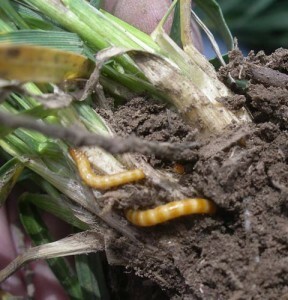 Wireworms can damage cereal grain crops, resulting in increased weed pressure and reduced stands, yields, and profits. 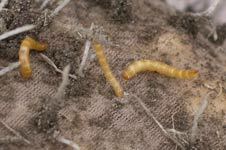 Wireworms are the immature larval stage of click beetles, and these beetles can spend several years in this larval stage feeding on germinating seeds and young seedlings, resulting in thin crop stands and lower yields. Crop damage is not detected until after planting when it is too late to make preventive pest management decisions. This situation makes wireworm scouting prior to planting essential.